I continue to see photo quotes like the one above posted everywhere. I think it’s baloney. Actually, I know it’s baloney. And at times I just want to shake the next woman I see posting this on Facebook, Instagram or Twitter, especially so, when I’m aware of the reasons why she has posted it.. There are so many things I would like to say to her. I spent the first 25 plus years of my life using this as MY anthem...my theme song, if you will. It allowed AND encouraged me to tolerate and accept bad behavior from men. It allowed me to believe that a man could treat me as if I was nothing, he could lie, he could cheat and continue to lie some more. But if we worked things out and told me all the things I wanted to hear and things would be different and then of course it must mean that we were “meant to be”. It upsets me at times to think of the woman I used to be. How I could tolerate and put up with so much? How could I allow a man to fill my head with so much self-doubt? Looking back it would have been such a blessing to have someone shake me or give me a good smack and tell me to WAKE UP! 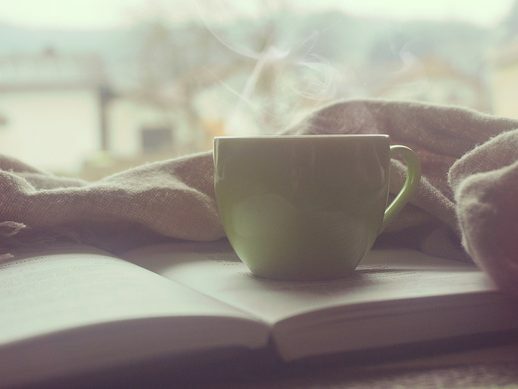 It wasn’t until I started to read the bible and to begin to understand and believe what God had to say about me that I began to develop some much-needed self-esteem and a much stronger backbone. If the woman who wrote this or the women who post this, were/are anything like me from my long ago past, then I believe she was trying to justify her mixed emotions, her doubts and make excuses for her man’s actions. Maybe she didn’t want to be single again, did not want to be alone and didn’t want to risk finding another relationship just like this one. Maybe she grew up in a home where the male figures in her home and in her life were less than appealing when it came to how they treated women. She was programmed to believe that what they said to her and about her, to be true. 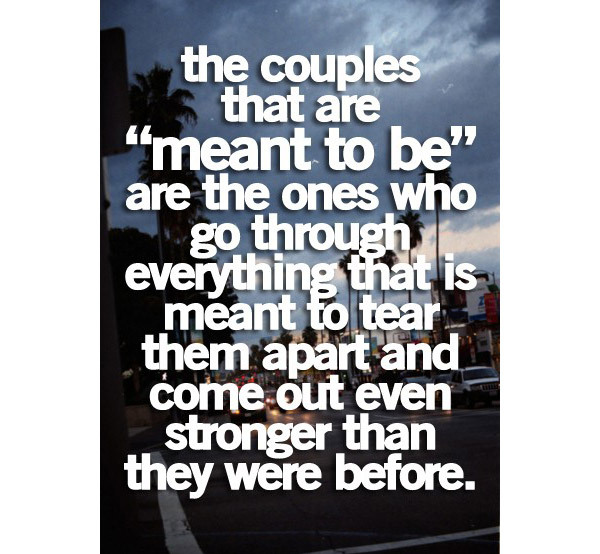 “Couples who go through everything that is meant to tear them apart…” What does this even mean? Things that are meant to tear a couple apart are usually happening for a reason…because you are NOT meant to be together. God has blessed us women with the gift to sense when things are just not right. So why do so many of us ignore this beautiful and protective instinctual gift? And even when the truth is blatantly in our face, many times we give him another chance. You don’t need to listen to his lies. Your boyfriend’s actions will tell you anything and everything you need to know. So where do you draw the line with behaviors and actions that are meant to “tear a couple apart”? He doesn’t make you a priority? He only texts you or calls you late at night? He doesn’t value your thoughts or opinions? He raises his hand to you? Threatens you? Hits you? He stays out all night, without you and not answering your calls. Makes you doubt your instincts? He makes you feel like you’re stupid, inadequate and/or crazy? He criticizes and humiliates you at home and in front of others? He is often jealous and angry? He has no respect for you as a single mother whose time is so very precious? When a woman is secure, confident and knows her worth through Christ, the above instances WOULD BE reasons to tear a couple apart…FOR GOOD. She would consider the break up a BLESSING! She would leave this relationship immediately (after the first offense) and SHE would come out STRONGER than ever before. I can say this with certainty because it took me many years to learn it! Christian or not, I believe most people have read this. 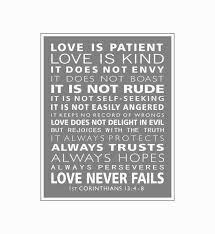 It’s a great verse to put on a plaque, to read and feel that it’s a great verse to live by but yet so many women still justify bad behavior from the men they are dating and turn to the first photo quote as their source of encouragement. Love is patient, love is kind. It does not say that love is a verbally and physically abusive man. It does not say that he will push you into behavior and a relationship you are not ready for. It does not envy, it does not boast, it is not proud. It does not say that love is a jealous man who is eager and quick to tell you how much better he is than you or make you feel like you are less than him. It is not a man who loves attention from other women and has no issues with flirting in front of you. It is not rude, it is not self-seeking, it is not easily angered and it keeps no record of wrongs. It does not say that love is an insulting and condescending man nor does it say that love is someone who only cares about his own needs with little to no regard for yours. Love does not delight in evil but rejoices with the truth. It does not say that love is a man who enjoys creating drama and stress in your life. It does not say that love is a man who continually lies and then tries to make you feel like you are the issue, you’re crazy or jealous. It always protects, always trusts, always hopes and always perseveres. It does not say that love is a man who puts you in dangerous situations. When my children were both under the age of one, Jesus pressed deeply into my heart and told me “it’s no longer about me.” My purpose was to my children. I would not bring a man into their lives who did not exemplify the type of man I wished my son to one day be. And I would not bring a man into their lives who did not behave in a manner that I would wish for my daughter’s future husband. Some single moms who continue to make excuses for pathetic men and keep these men in their lives, are in a sense part of the problem. Don’t get angry if that defines you. It once defined me too. Son’s are learning how to treat women and daughter’s are learning what to tolerate, what’s acceptable behavior and how to think of themselves. Thus perpetuating the problem. Maybe, just maybe God is telling you as well that your purpose during this season of your life, is to your children. There is an incredibly powerful verse that I used over and over again years ago. It was ingrained into every fiber of my being. With this verse, I was able to spiritually move past huge mountains in my life and eventually God blessed me with the most amazing husband and father to my children. So what mountains have you been circling long enough…a bad relationship? It’s time to turn North. Continually believing that you are less than deserving of an incredible life? Turn North. Negative self talk and continual self-doubt? Turn North. Relying on love and attention in any form to fill your needs? Turn North towards Christ...only He can truly fill your needs and He will move your mountains. Jesus is always the best match for any mess in our lives! Dear Lord, Thank you for placing seeds of ability and super-human strength in each of us. I know you see the greatest potential in each and every one of us. Help the ladies reading this to see themselves through your eyes. Please provide each of them with the wisdom and encouragement to turn North from their repetitive and troublesome “mountains” by placing their trust in you. In Jesus’ name I pray. Amen. The Best Teenage Girl Birthday Party Idea…EVER! Awesome post. I am still that girl whom is trapped for a decade of the same mantra. Trying to undo myself from this cocoon that I had spun. Thanks for the sharing. I love the line that it is not easily angered and keeps no records of wrongs. I certainly get a lot of the contrary.